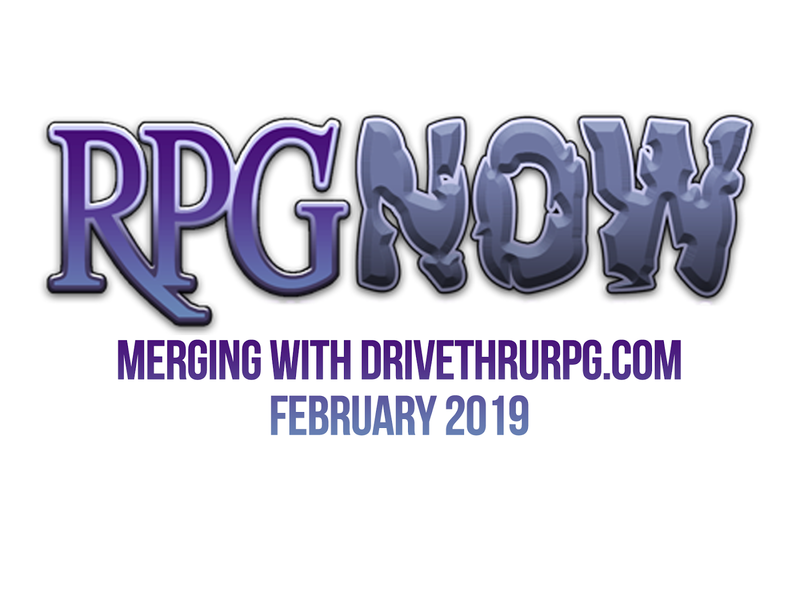 Recently, we sent out an e-mail explaining RPGNow will be merging with DriveThruRPG and what that means for both publishers and customers. I wanted to make the e-mail more accessible, just in case you haven't received it. You most likely know this, but since RPGNow and DriveThruRPG first merged as businesses back in 2006, they have shared all the same tools and digital inventory. On the front end, they looked and behaved like two separate sites, but essentially, they have just been two faces of the same site for many years. The only real differences were the color schemes and logos. Customers: How will this affect me? In almost every way, you’ll be unaffected. Your entire library of purchases from RPGNow is already available to you on DriveThruRPG (as it always has been! ), and you can log in to DriveThruRPG using the same account you’ve always used on RPGNow, just as you could before. Customers: But where will I go to get my gaming purchases? No worries. As far as buying titles, the publishers and catalogs available on DriveThruRPG and RPGNow have always been identical, so anything you’ve bought on RPGNow before, you could also have bought (for exactly the same price) on DriveThruRPG. In short, you’ll still be able to get the same stuff, from the same publishers, using the same tools you’ve always used. You’ll just be finding them on a slightly different-looking storefront. Publishers: How will this affect me? In most ways, you’ll be unaffected. Your entire catalog of titles from RPGNow is already listed on DriveThruRPG (as it always has been), and you can log in to DriveThruRPG using the same account(s) you’ve always used on RPGNow, just as you could before.Even your old bookmarks to pages on RPGNow.com will still work: They’ll automatically be redirected to the same page on DriveThruRPG. Publishers: What about sales reporting? Will my past sales be combined? Yes, as far as sales records and your titles’ metal rankings, we will be merging those together.Starting in February, your sales records will show combined sales of each title across both the deprecated RPGNow site and DriveThruRPG, together. The number of unit sales will also be combined, so if you had metal rankings for titles on one or both sites, there’s a good chance you’ll find that your rankings on some titles will have increased on DriveThruRPG. Publishers: What about my Publisher Promotion Points and marketing impressions? To be honest, we have known this moment would come for years now. 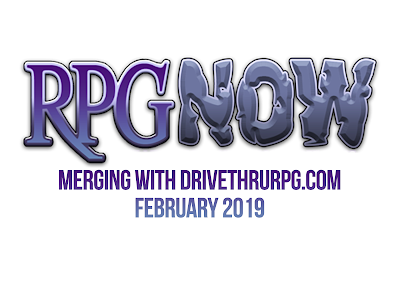 We’ve just finally decided it’s time to put the RPGNow brand out to pasture and merge it with DriveThruRPG.